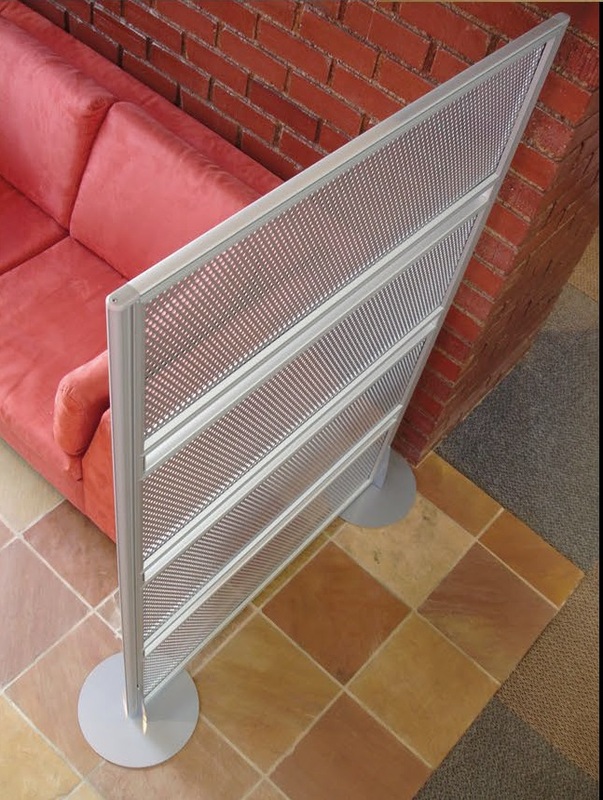 Reusable Walling Systems Desk Based Screens are an aluminium framed low level desk based screening system. It is our most flexible offering ? 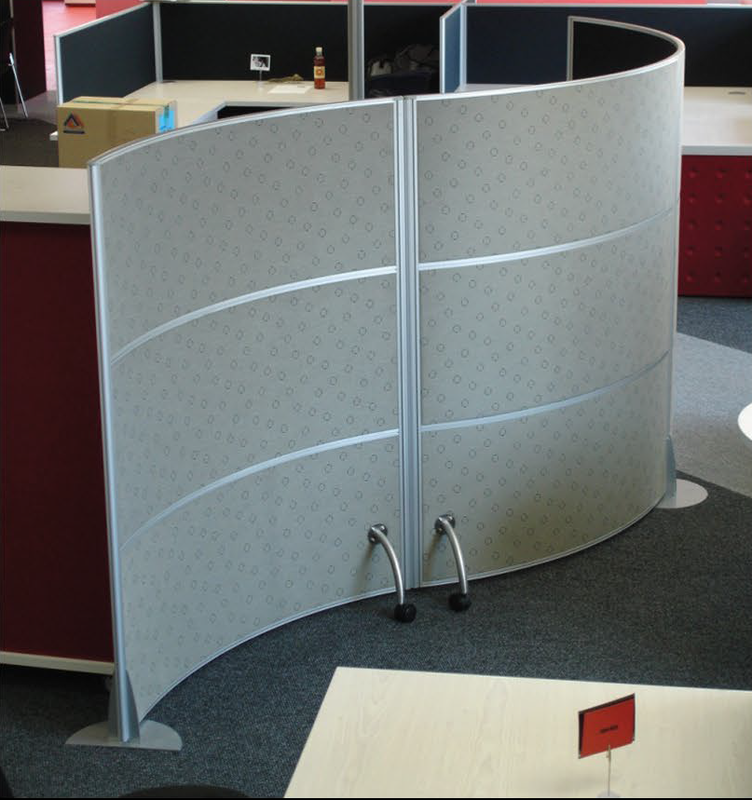 the screens can be curved vertically, horizontally and diagonally. And it is our only system that can be stacked. Aluminium framed power panels designed for particularly high tech applications expands the capability of the product. 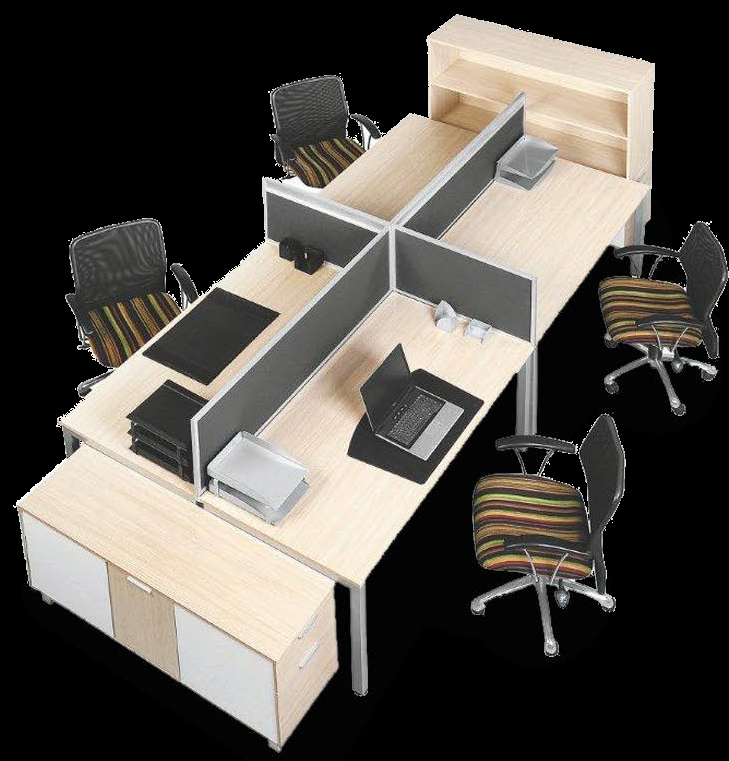 It meets all voice and data requirements by centralising all cabling in the base of the unit. 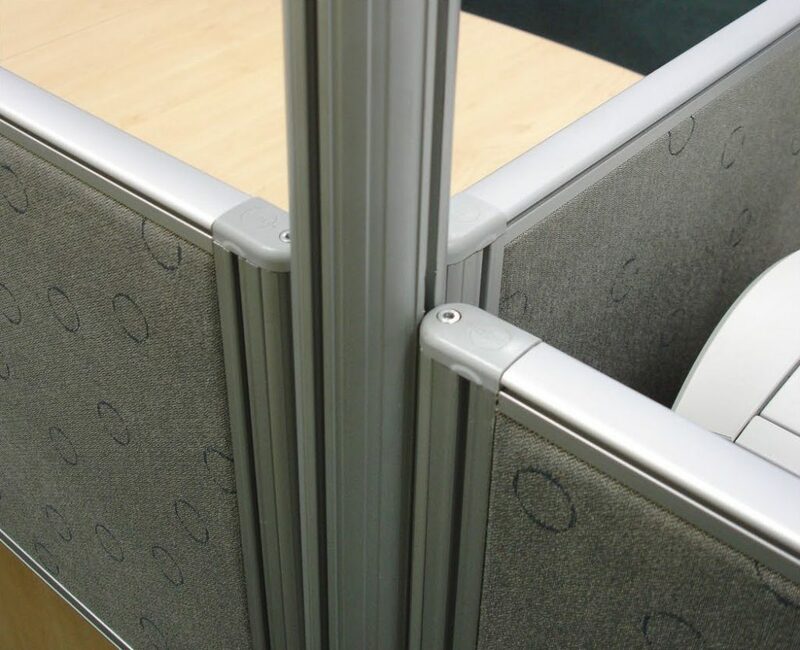 Accessing all cabling is madequick and easy as a result of the removeable cover. 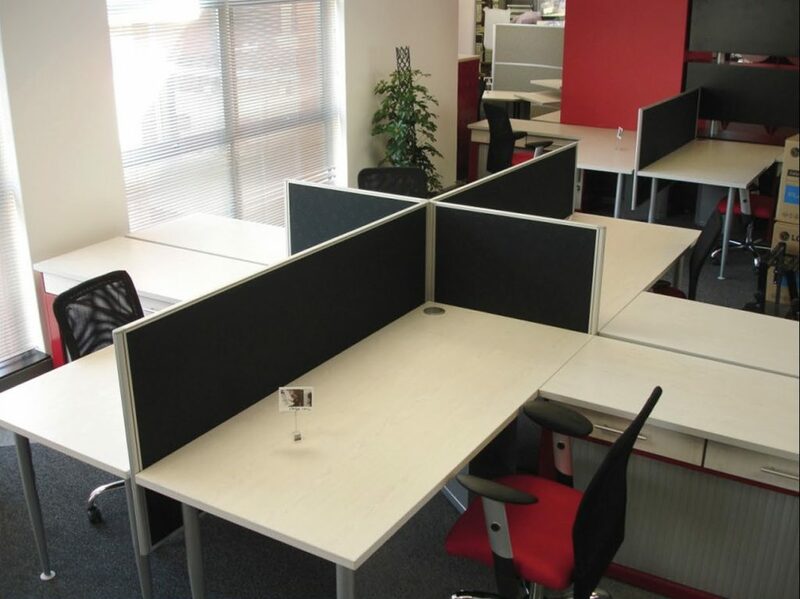 Reusable Walling Systems Floor and Desk Based Screens comprise of either a board or acoustic dampening foam centre surrounded by a rigid aluminium frame. 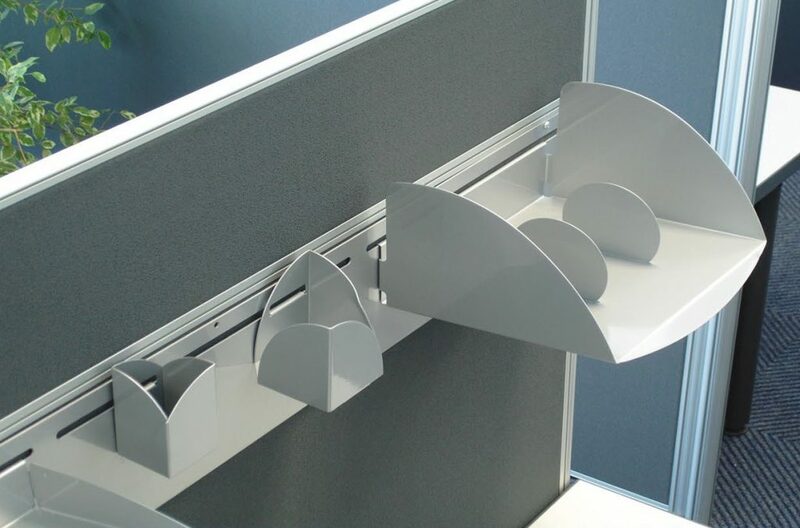 They have interchangeable end covers which facilitates panel-to-panel junctions without poles, therefore reducing costs. The design of the angled junction end cap, in conjunction with an ‘H’ piece, has given the system the ability to create a multitude of angles without any additional manufactured components. The interchangeable end covers also means that a run of screens can be finished off aesthetically. The hollow design of the glazing section gives this particular section immense strength for its size. 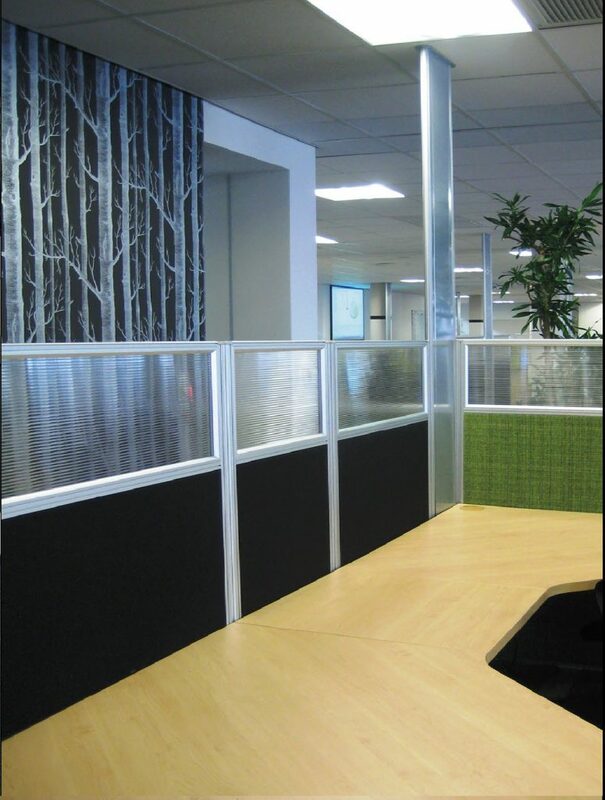 This allows the Floor and Desk Based Screens to make use of less rigid glazing mediums such as Lexan without any loss of structural strength. The compact design of the external aluminium sections allows for the screen to be curved, not only through its height but also across its length. This technology has allowed interior designers the ability to create more organic flowing forms.